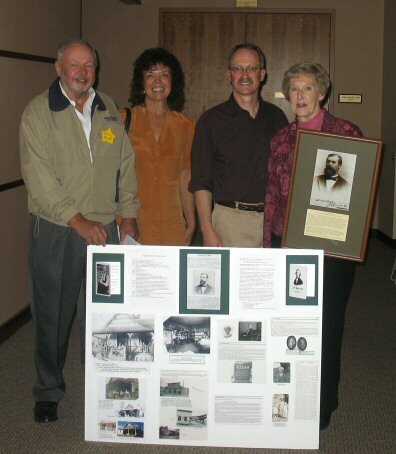 Each year, the Commission honors one living and one deceased person who have contributed significantly to the history or historical record of Jefferson County. Please see Hall of Fame for more information or to download nomination forms. See complete list of persons designated. Hank grew up on his family’s ranch in Buffalo Park Road and, in 1988, sold and donated it to Jefferson Co. Open Space, where it is now part of Alderfer-3 Sisters Park. He was a founder of the Jefferson Co. Historical Society and the Mountain Area Land Trust, and has also served on the boards of the Evergreen Park & Recreation District and the Bear Creek Cemetery. Hank is a recognized specialist in historic preservation and writes a regular history column, Yesteryears, for the Canyon Courier. Born in 1839 in Ohio, Charles Dake and his family moved to Denver in 1880. After riding the tourist train to Pine Grove, he used his Civil War scrip to purchase 160 acres of land in the area. In 1866, he platted the town of Pine Grove and later built the Pine Merchantile Building, the Post Office, and a two-room schoolhouse. 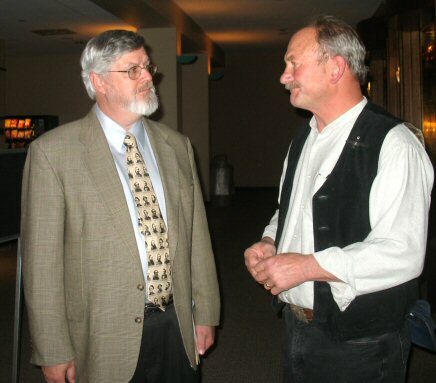 Dake was elected from Jefferson County to the Ninth General Assembly of Colorado. As a representative, he gave Colorado an excellent game law and did much to support the Colorado School of Mines. He served as a Justice of the Peace from 1888 until his death in 1907.